We have entered the age of the miracle male skin serum. Contained inside an ever-expanding array of bottled hope lies the promise of age defiance, Brad Pitt’s good looks and instant access to more beautiful women. Once-frilly brands such as Clarins, Vichy, Biotherm and Shiseido have busted out steely black packaged skin care lines targeting testosterone types who are showing a sudden willingness to pay dramatic prices for skin care potions. It’s a very long way from dad’s bar of Irish Spring. Toronto dermatologist Dr. Lisa Kellett, for example, has fashioned her own aqua-coloured skin care line dubbed Clear Clinical that she sells out of her swish Yorkville-area clinic – DLK on Avenue (108 Avenue Rd.) – for $205. The very notion may seem scandalous to the old school alpha male who shaves with straight blades while brushing his teeth with alcohol. But the new breed of manicured male is fully on board. Men comprise up to 35 per cent of the clinic’s clients. And their numbers are growing, Kellett says. Her marketing campaign for the Clear Clinical line features a website – clearclinicalformen.com – focused on men and celebrity testimonials from Raptor superstar Chris Bosh and ex-NBA star Alex English. “I like to have something in the locker room so I can wash my face and I can be feeling clean and confident about my skin,” Bosh says in a promotional video. It’s the voice of the modern man. Clean, moisturized, unapologetic. Who is this manicured male? Late forties, fifties and sixties, Bay Street types or sales professionals for whom a youthful look is crucial to success, Kellett says. Also requisite is a six-figure salary needed to cover the cost of skin rejuvenation concoctions and treatments. 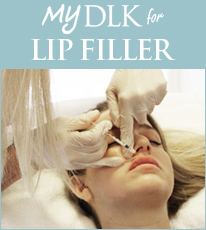 They visit clinics like DLK for everything from Botox injections to treatments for skin conditions such as rosacea as well as such cringe-inducing options as microdermabrasion. Treatments typically start at $150. It took 2,000 years of human history, but skin care equality appears to have arrived. The Marlboro man would be humiliated.